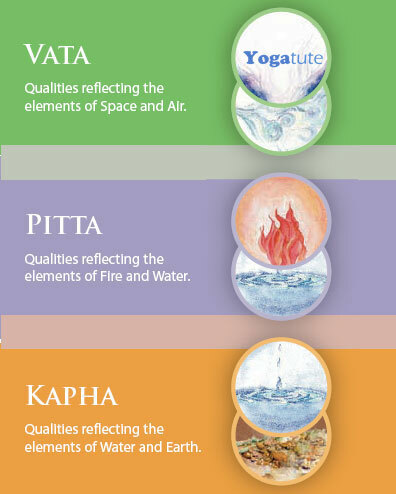 The five elements system from Ayurveda is a simple tool to recognize balance in all aspects of life. In the Ayurvedic system it is these 5 elements that form the building blocks of life. Everything in the universe is created from a certain ratio of the 5 elements. In Sanskrit this system is known as the Pancha Maha Bhuta (Pancha means five, Maha means great, and Bhuta means elements). 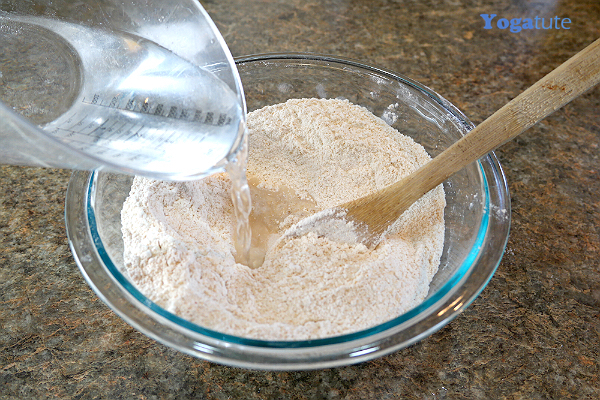 An example of this is, “dough which we prepare for making Roti/chapati(wheat product) will have water content, Space, Air, fire (heat) inside it but the earth element (wheat content) is present dominantly. Thus, we could definitely say that dough is made of 5 elements with different in proportions. Similarly, each of us is born with a genetically determined constitution, or prakrti and energies associated with it. In other words, we all have natural weaknesses and strengths, and with this system we can summaries all strengths and weaknesses into 3 categories known as doshas. Moreover, Doshas are also defined as energetic principles that govern physiological and psychological funtions of the body. 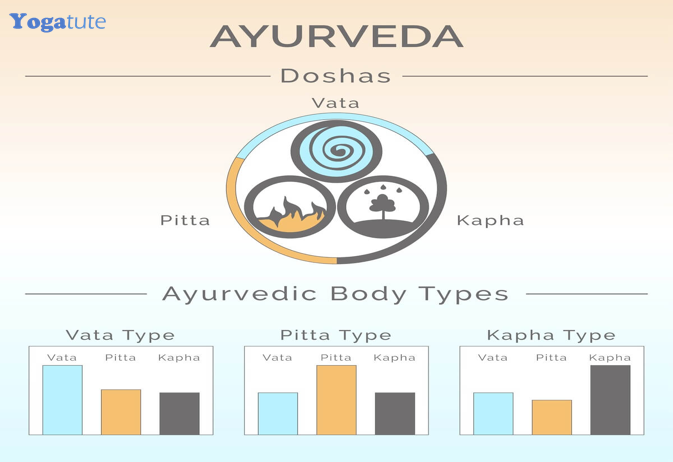 The doshas are Vata, Pitta and Kapha, and all of the world can be divided into these three categories with three different composition. By learning this simple system, you will be able to identify the weak and strong points of your individuality, personality and the most suited balancing elements for your body can be applied to your diet, lifestyle and environments. The most important aspect to understand the body is to understand is the tri-dosha, because when imbalanced it is the source of all disease and when balanced it maintains health. Vata dosha – Responsible for all Movement in the Body, the activities of the nervous system, and the process of elimination. When Ayurveda talks of your dosha, they are actually speaking of the dominant doshas (strengths and weaknesses) within you. With this understanding we have two associated imbalances, blockages and then excess. Disease occurs when doshas (environmental, mental, emotional, and physical) are not flowing through your body efficiently and get stuck in tissues. This blockage of flow then creates excess doshas and is displaced to other parts of the body where they create an excess manifestation (symptom of an ailment) of the function associated with that dosha. 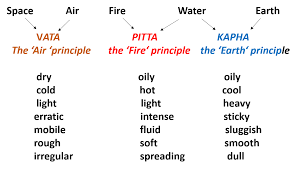 Generally, people have combinations of two, so you might find yourself as Vata, Vata-Pitta, Vata-Kapha, Pitta, Pitta-Kapha, Kapha, and Kapha. 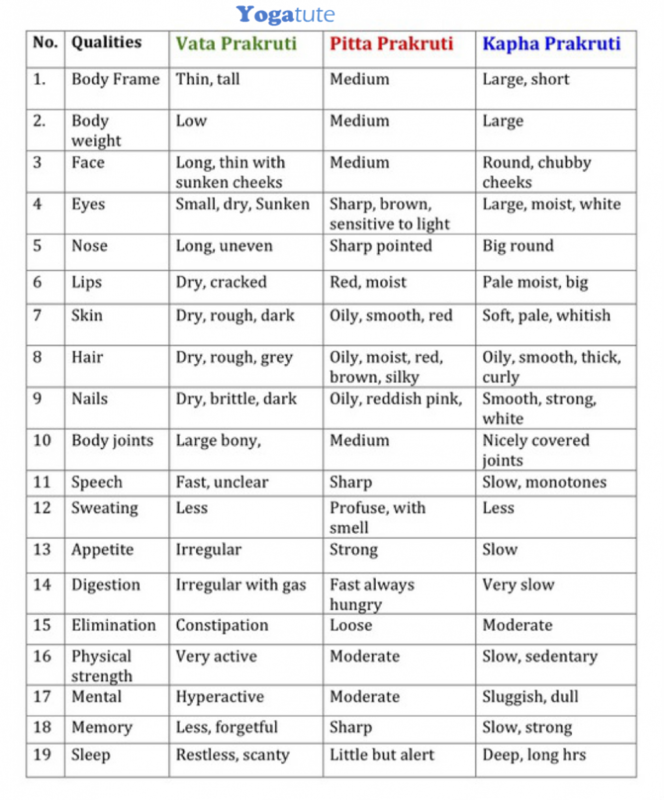 For those who wants detailed understanding on Dosha, body types, list of disease, sites of diseases, its remedies then follow my next article. Click here…..